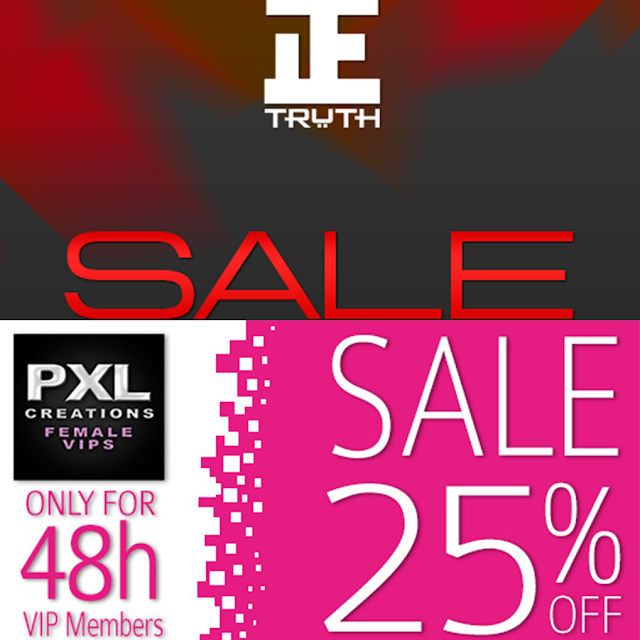 I have good news for you, this weekend we gonna have two amazing sales: TRUTH & PXL. Check it out!!! "Everything on sale, regular packs 75L, discontinuing lots at 35L and buy all packs 750L." "Starting tomorrow on April 19th 12pm SLT, and lasting for 48 hours, PXL's latest skin line, Sophia, will be on sale for 25% off for VIPs! Please be sure to wear your VIP tag to purchase Sophia at this special price! ".